Even if you don’t do any off-road driving, Land Rovers are designed to be rugged and climb mountains, cross deserts, and plow right through water. However, that does not mean that you can neglect routine maintenance or delay repair of an improperly running Land Rover. In fact, to keep your Land Rover running like new. 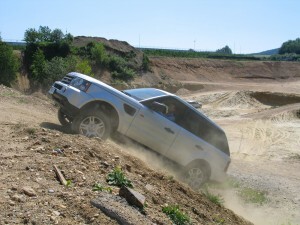 Everett Land Rover Repair and maintenance are vital responsibilities of Land Rover ownership. Many Land Rover owners face a conundrum when their Land Rovers have years of useful life left but are out of warranty. Where do they go for great Land Rover service? Following are some tips to help Land Rover owners resolve this dilemma, after all, though rising in popularity in the United States, Land Rover dealerships are not on every corner. Contact Conaway Motors to schedule your Land Rove repair or service. Tip 1: Always use a shop with certified ASE technicians. ASE certification of technicians is your assurance that the shop has well-trained technicians who receive continuous training. Tip 2: Only use a shop that has the appropriate diagnostic equipment for Land Rovers. A Land Rover is a complicated piece of equipment. Without the correct diagnostic tools, routine service and repairs may not be done correctly. Tip 3: Great you have a shop with ASE technicians and the correct diagnostic computers. What is their experience with Land Rovers? Many car repair shops, even those who claim to be “British” car specialists are not familiar with all that goes into maintaining a Land Rover. One example of something many shops miss when giving maintenance to a Land Rover classic is the checking of the oil level for the swivel pin housings. If the shop has not serviced many Land Rovers you might want to keep looking. Missing things like swivel pin housing oil levels can be very costly to the owner. Tip 4: Land Rover owners will happily share information with you. If you have a friend or relative with one, ask where they have it serviced. If you do not know anyone with a Land Rover then join an online chat group. You might find someone nearby that knows a great place to go for Land Rover service and repair. If all else fails, try a recommendation site such as Angie’s List. Though you will pay for the recommendation they guarantee your satisfaction. And the comments and recommendations are from Land Rover owners just like you. Companies can not pay to be listed, they must be recommended. Unlike most vehicles, Land Rover owners are fiercely loyal to theirs and keep them for long periods time. This is exactly as it should be, as the Land Rover legacy is one of dependability and longevity. Proper service and prompt repairs will help you keep your Land Rover for years.